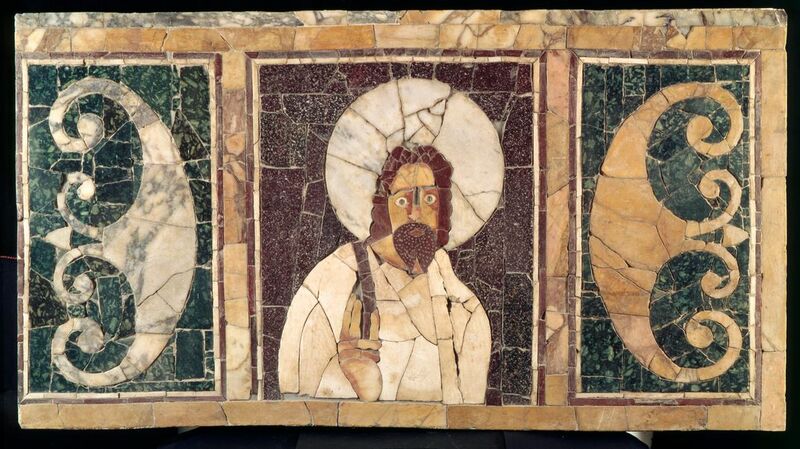 A group of Catalan archaeologists believes it has unearthed one of the earliest images of Jesus Christ buried deep in an ancient Egyptian tomb. Specialists at the University of Barcelona discovered an underground structure in the ancient Egyptian city of Oxyrhynchu which may have acted as a resting place for a number of priests. 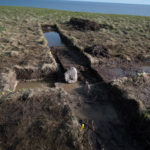 In excess of 45 tonnes of rock had to be moved in order to access the hidden room. Another unidentified structure found nearby during this process is currently being investigated. 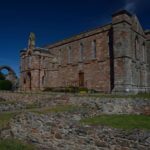 Once inside, the team found 5 or 6 coats of paint on the walls, the last of which was from the Coptic period of the first Christians. 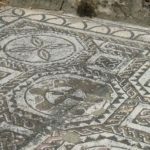 The underground structure was also reportedly decorated with Coptic pictures and may contain one of the earliest-known representations of Jesus Christ, The Local has reported. Dr Josep Padró, the Emeritus Professor at the University of Barcelona who led the expedition, portrayed the find as “exceptional”. He told the La Vanguardia daily newspaper that the figure is that of “a young man with curly hair, dressed in a short tunic and with his hand raised as if giving a blessing”. 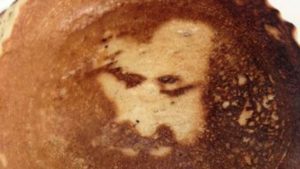 “We could be dealing with a very early picture of Jesus Christ,” he added. A team is now working to translate engravings surrounding the figure. The tomb of a writer who had been buried with his tools was also Found during the excavation. 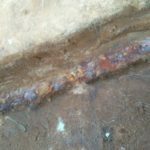 There are inscriptions to identify the tomb, Yet Mr Padro said he believed the archaeological remains allowed them to conclude the writer was aged around seventeen years. No valuable description of the physical appearance of Jesus is given in the New Testament and the depiction of Jesus in pictorial form was controversial in the early Church. The depiction of him in art took several centuries to achieve a conventional standardized form for his physical appearance, which has subsequently remained largely stable since that time. 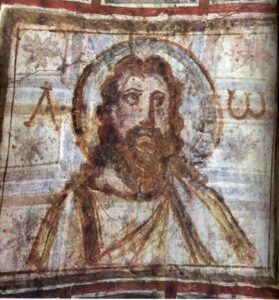 Most pictures of Jesus have in common a number of traits which are now almost universally associated with Jesus, although variants are seen. The conventional picture of a fully bearded Jesus with long hair emerged around 300, but did not become established until the Sixth century in Eastern Christianity, and much later in the West. It has dependably had the advantage of being easily recognizable, and distinguishing Jesus from other figures shown around him, which the use of a cruciform halo also achieves. Earlier images were much more varied. Pictures of Jesus tend to show ethnic characteristics similar to those of the culture in which the image has been created. 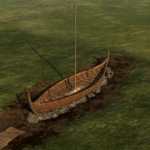 Beliefs that certain Pictures are historically authentic, or have acquired an authoritative status from Church tradition, remain powerful among some of the faithful, in Eastern Orthodoxy, Anglicanism, and Roman Catholicism. 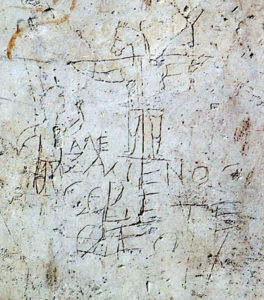 A very early image which is believed to be an early anti-Christian graffito is the Alexamenos graffito, a unique piece of wall graffiti nearto the Palatine hill in Rome. The inscription has been ascribed dates ranging from the First to the Third centuries AD. It was apparently drawn by a Roman soldier to mock another soldier who was a Christian. The caption reads, in Greek, “Alexamenos worships [his] God”, while the picture shows a man raising his hand toward a crucified figure with a donkey’s head. This seems to refer to a Roman misconception that the Jews worshipped a god with the form of a donkey, so that the image would be at once antisemitic and anti Christian. A small minority of researchers dispute whether this image depicts Jesus, proposing that this image may be a reference to another deity.